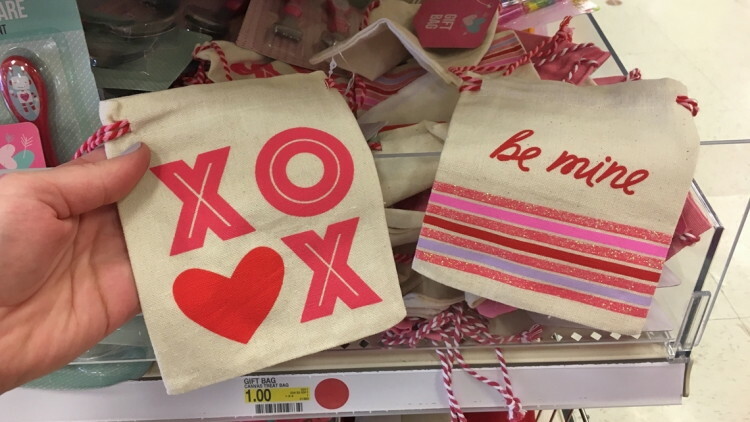 Valentine's Day is just around the corner. If there is any holiday that I am a last minute Lucy, it's this one. 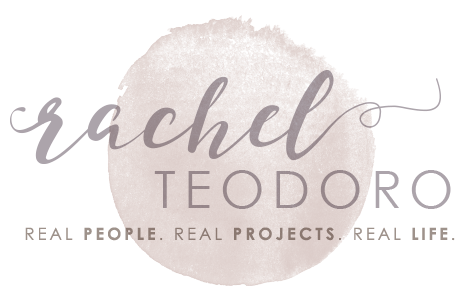 I'm always looking for new easy, fast ideas that make it look like I didn't wait until the last minute to make, even though I almost always do. I had nearly all these supplies on hand to make these Valentine's Day tic-tac-toe bags but if you don't, they aren't hard to come by. You can make them in under 10 minutes. 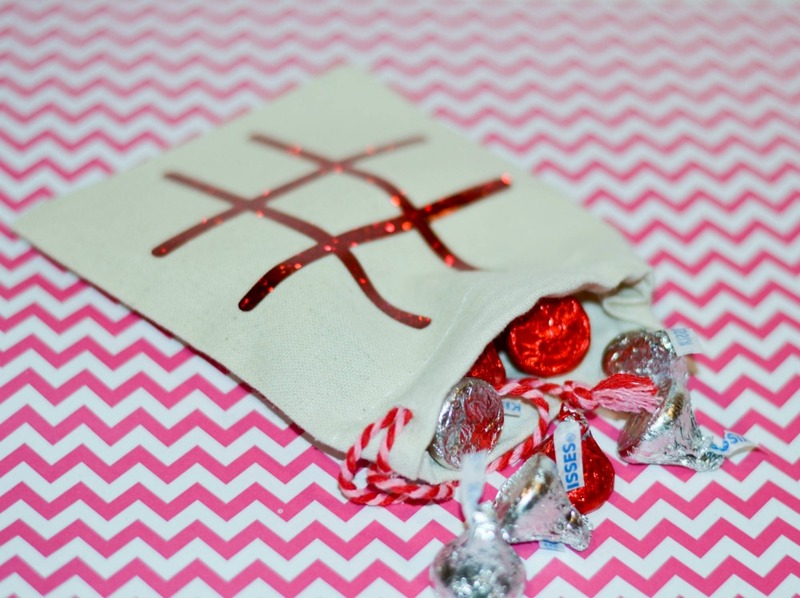 I had a few different design ideas in mind for these tic-tac-toe bags. 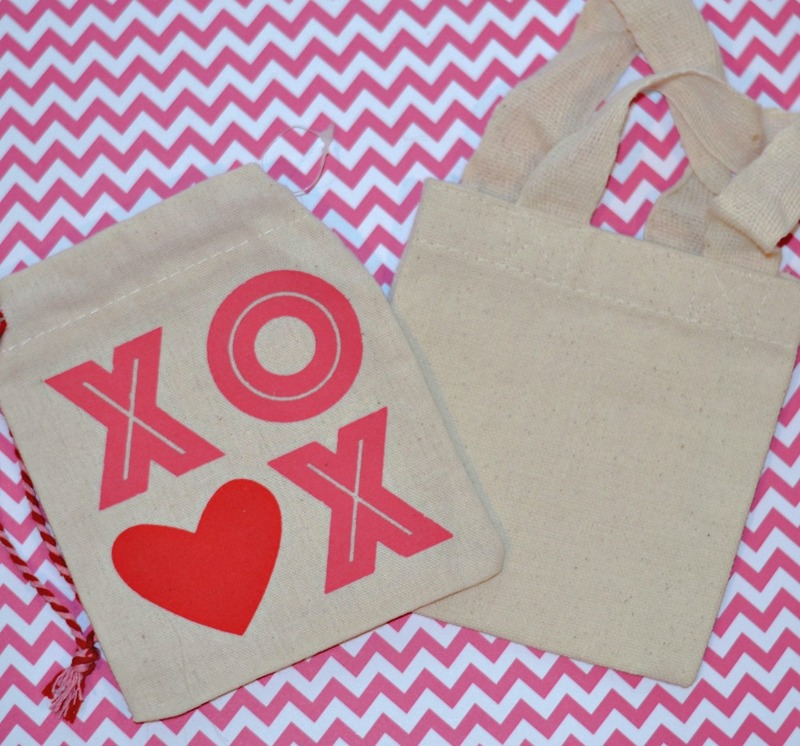 I had a general idea and so when I went to hunt down blank muslin bags I came up with two different solutions. These are what I was looking for, but I ended up finding a plain muslin bag that looked like a tote bag for $1 at a local craft store. The Target one spot had small gift bags that already were printed on one side. I used one of those as well. 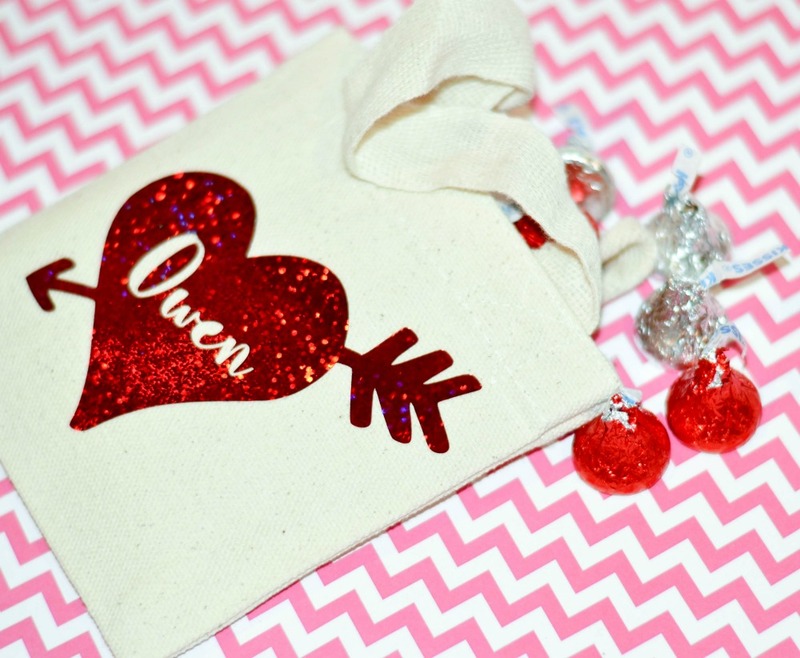 The blank muslin bags are perfect for adding a heart with a name on one side like I did. I used a pre-made design from the Silhouette store and some red glitter heat transfer vinyl from Expressions Vinyl. If you are using HTV for the first time, you can follow this tutorial. The Target one spot bags already have a fun print on one side, but I wanted to make sure they had a distinguished purpose, so I put a tic-tac-toe board on the back of each bag. If you do not have a Silhouette Cameo, now is the time to get one. This craft machine is a game changer. 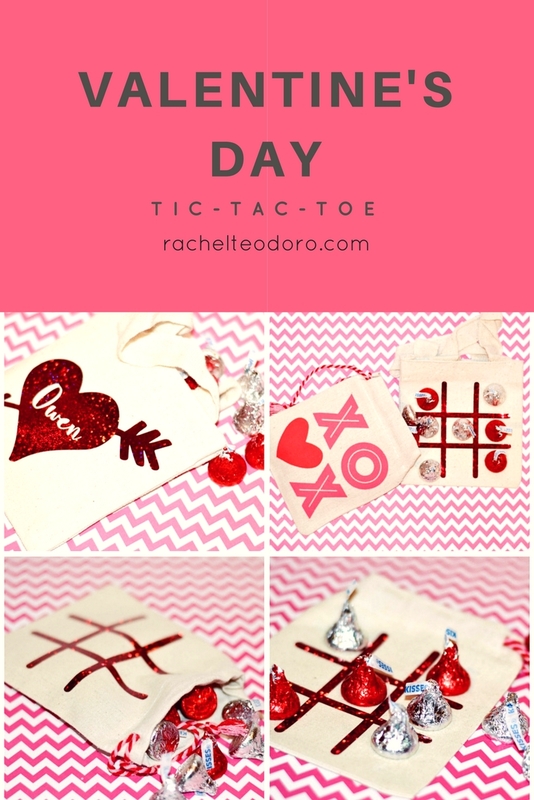 I simply used the trace feature on a saved tic-tac-toe design in my Silhouette design studio. You can follow this tutorial on how to trace. If you aren't using this feature in your Silhouette design software, you are missing out. 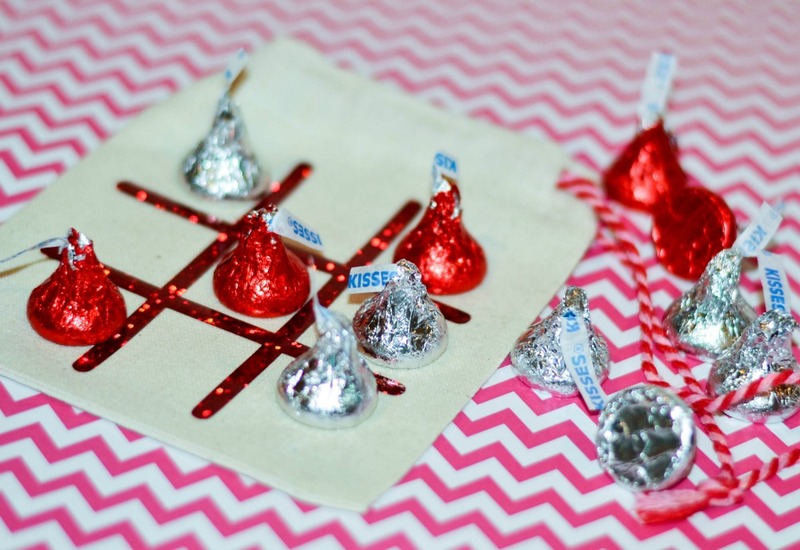 Pick up a bag of Hershey's kisses and sort out a few of every color to stick inside. It's a game, gift and candy all in one! And it took you just a few minutes to create. 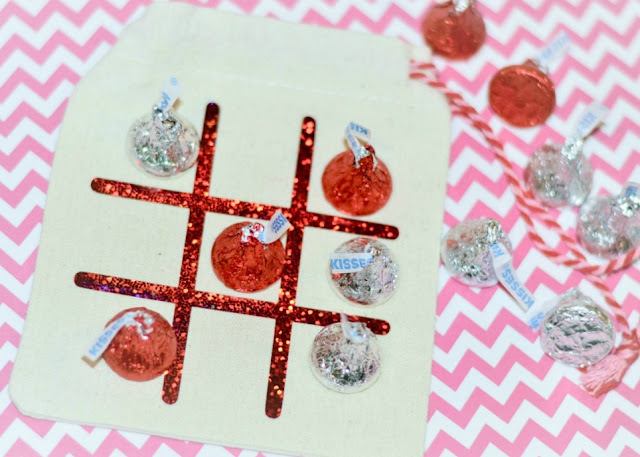 Feel free to substitute out the Hershey's kisses for another kind of candy. 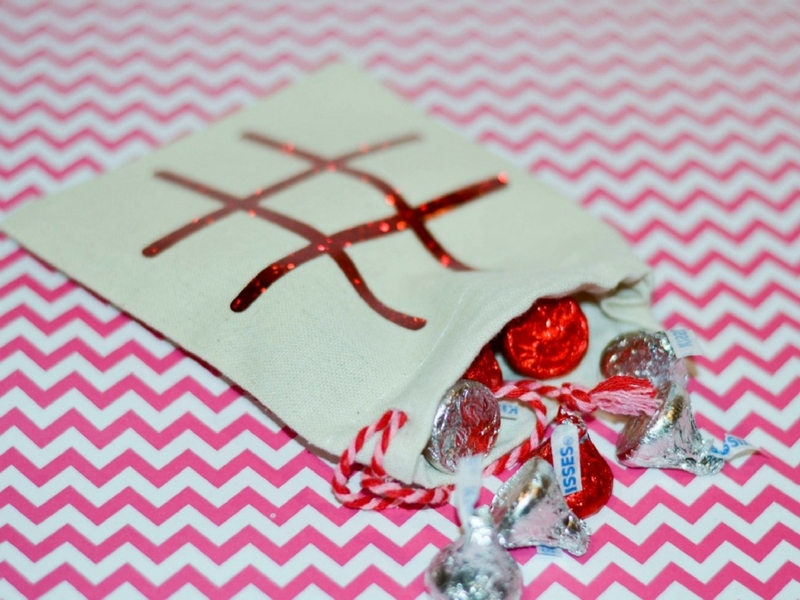 You could even swap out the candy all together and add erasers or painted rocks. 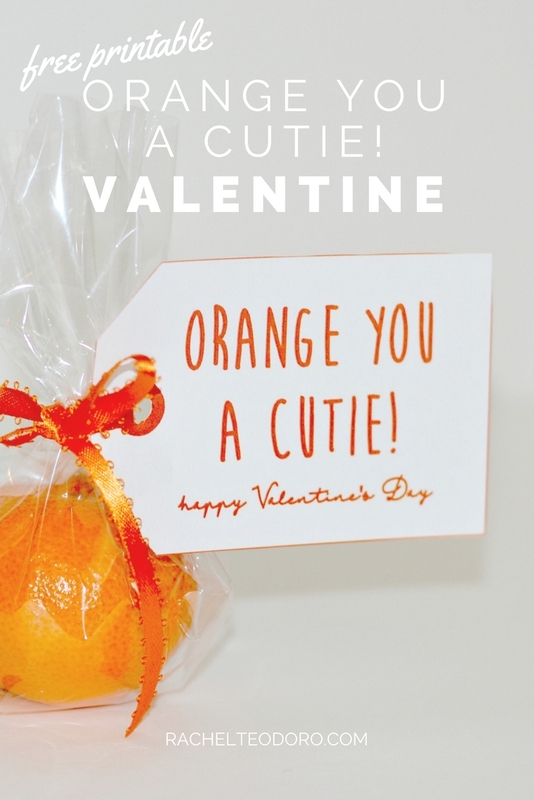 If you are looking for another non-candy Valentine's Day gift idea, you can find this free printable and gift idea here. 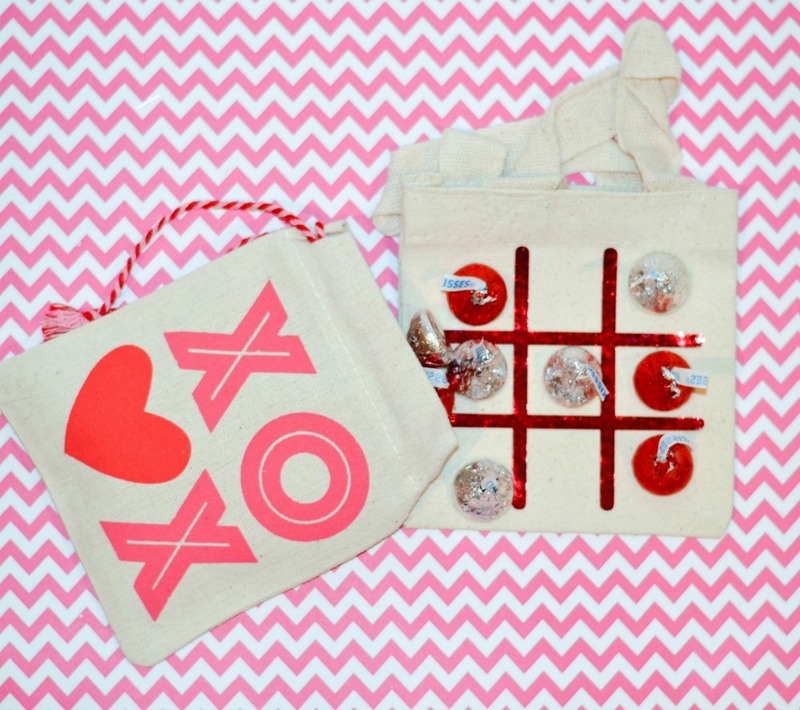 Don't get caught at the last minute without a Valentine's Day gift to give. These ideas will make it look like you really spent a lot of time prepping for them, but really, you can make them and gift them in hardly any time at all! Jennifer! You totally should. 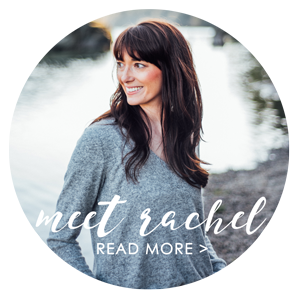 It's a major crafting game changer!